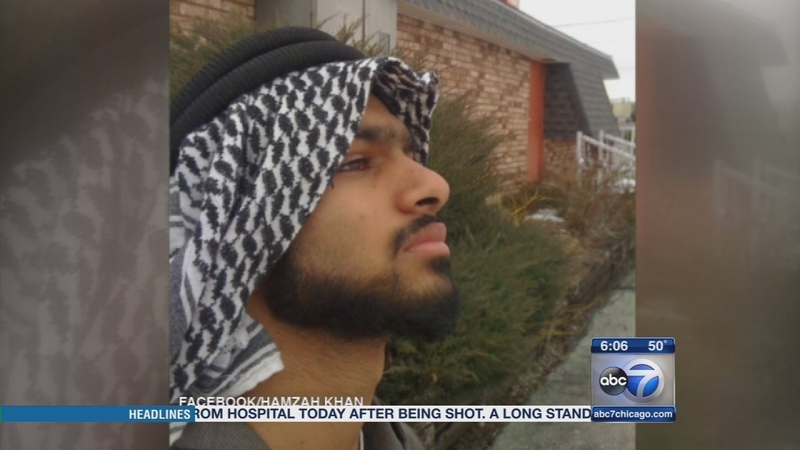 CHICAGO (WLS) -- A 19-year-old Bolingbrook man has pleaded not guilty to a terrorist charge in federal court Tuesday. Mohammed Hamzah Khan is accused of trying to join ISIS in Syria. Investigators say he tried to provide material support to a terrorist organization. His attorney says he fell under the influence of ISIS propaganda. Officers arrested Khan at O'Hare International Airport in October.